It was a family friendly place and it kind of reminded me of Friday’s. 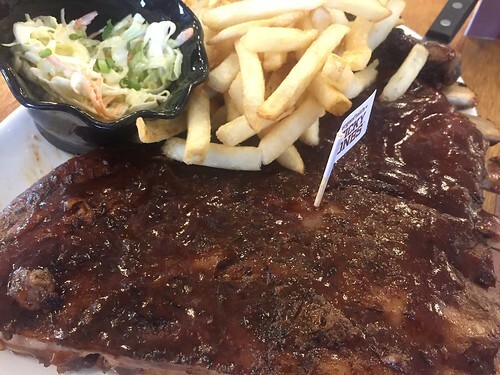 Comfort food and big servings. Actually we had two stops right after our Mystery Manila activity. Jason bought at Taco Bell (Yey taco bell here!) and I ordered my snack at Hobing which was a Korean dessert of shaved ice. Nomnomnom. Nothing like sweets and ice in this humid weather! When you’re melting eat something melting…… like ice or ice cream! Ok nevermind. But anyway, I loved Hobing! It was jampacked when we went here and I had to be on my toes to grab the next vacant seats. While waiting I checked out the counter and decided to get one of their best sellers, Mango with Cheese! I just got the regular size but surprisingly it was big and it can be shared by 2-3. 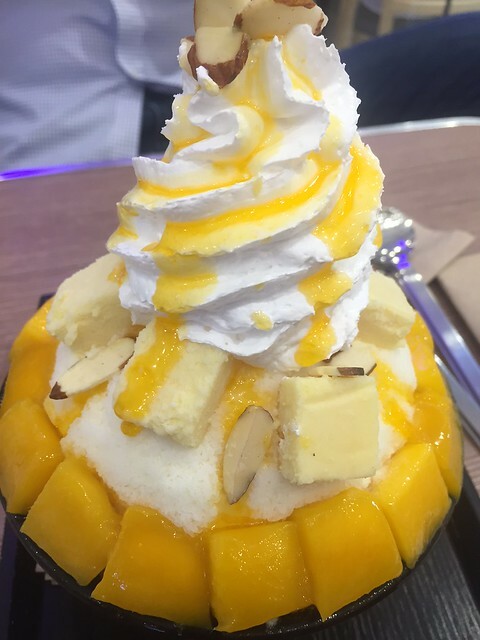 Just look at all those mango, cheese and shaved fine ice goodness! I was in love at first bite. We found it a bit expensive though. It costs around 200. (Can i put a shocked emoticon here?) If you want to splurge a little to beat the heat, go for this sweet icy treat! That same day we ate at Genki Sushi too but I wasn’t able to take photos besides I only ordered a plate. So we went back one Sunday to eat here. Warning 1: Give yourself a budget or else you’ll overspend! Seriously. 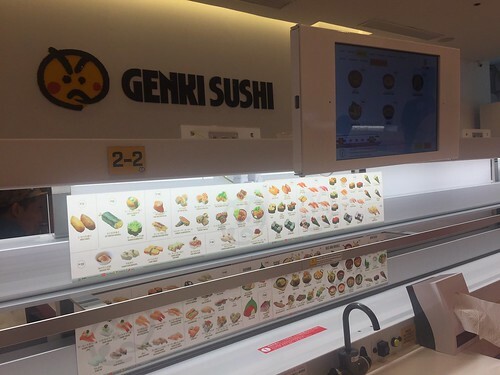 Because it’s just so fun ordering via a touchscreen monitor and in a few minutes, it will be delivered on a…. train! Shrimp Roe (Php 90). To be honest I found the nori a bit chewy / rubbery. 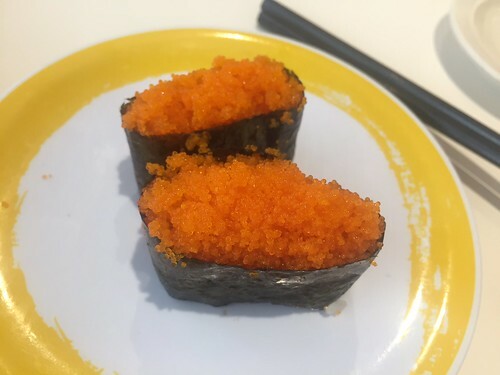 But the shrimp roe was fine and these are the rare times when ordering in restaurants that the actual dish looks like the photos in the menu. 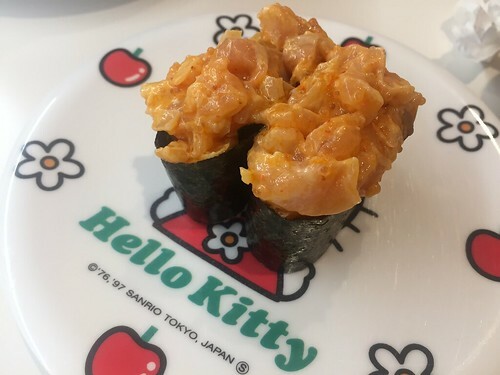 Spicy Tuna (Php 90). It wasn’t that spicy and was tolerable to non spicy eaters. 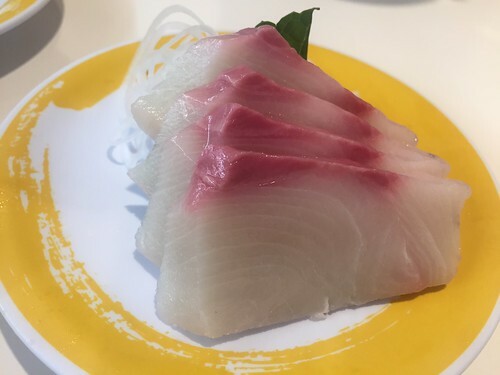 Yellow Tail Sashimi (Php 290). Jason says it’s rare so we got this order too. 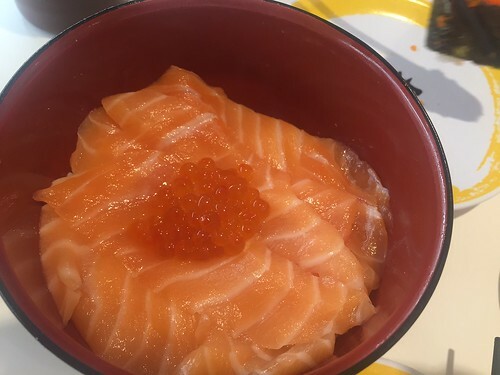 It does taste different from salmon sashimi and it looks pretty too. hehe. WARNING 2: All orders are final and cannot be returned. 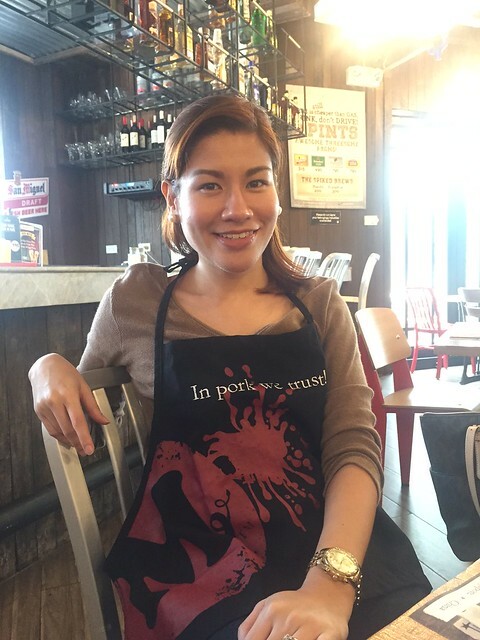 Please be careful in ordering! Because you can’t return your order! Huhu well if you made a mistake in ordering you just got to chew it and swallow it… literally. We were full by this time because this was the last that arrived. But it was ok nonetheless, something cooked for a change! 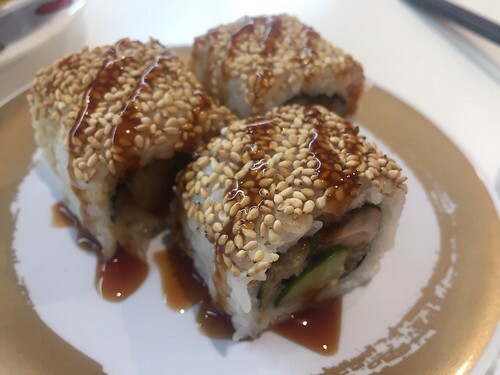 Chicken teriyaki. 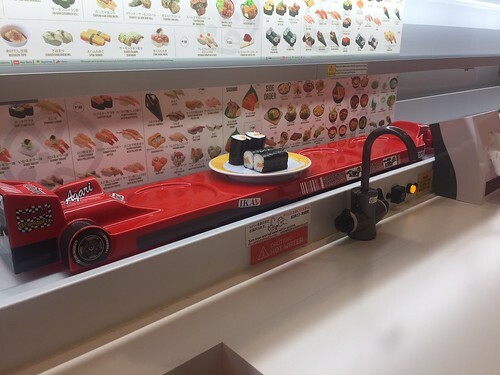 Overall it was an enjoyable sushi experience and when we’re out to splurge on sushi eating and interactive dining then we’ll definitely come back. It was a unique experience that we would recommend. So these are the restaurants that we tried at Ayala at the 30th. It was nice eating here but there are still lots of unopened stores. 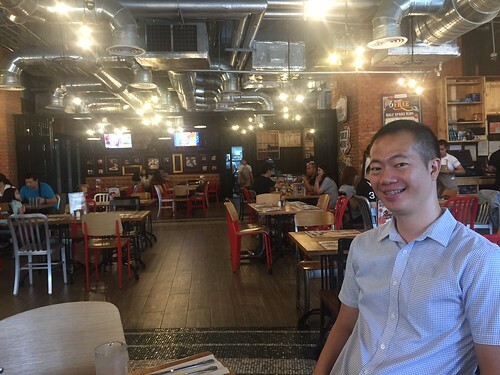 The venue is quite small but if you’re living near the area it’s a nice place to hang out as there are opened restaurants, several coffee shops and it’s not as crowded.